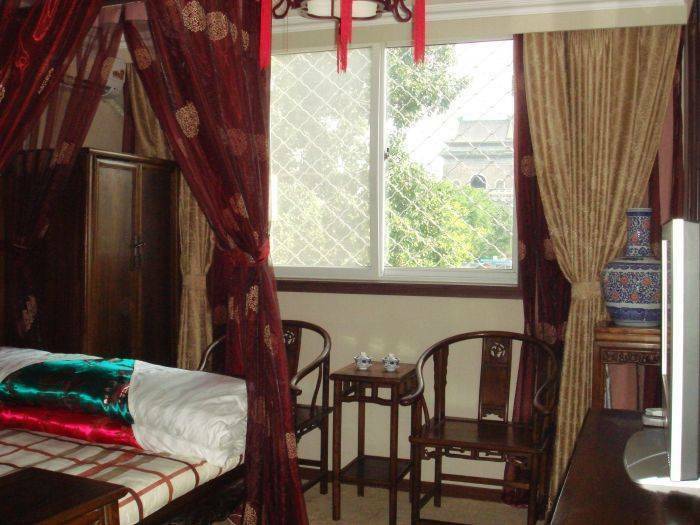 In the south point of the Beijing middle axis line; there is a nice hotel which is full of Chinese traditional cultural atmosphere in a winding and quiet Hutong, It is Zaoyuan Courtyard. After travelling for a whole day, Zaoyuan Courtyard will show you a quiet, warm and romantic Beijing with Chinese traditional culture. Zaoyuan Courtyard is ideally positioned for visitors to the China wishing to enjoy the sights and delights of central Beijing. It is located in the north of the second ring, which just minutes way from the mysterious Bell Tower, Ditan Park and BeiHai Park. It is in the west to the Lama Temple, GuoZijian and HuangChenggen; north to the Beihai park, Jingshan park, the forbidden city, Tiananmen square and Chang An street; in the south of Ditan park, and it is also very near to the Olympic park. 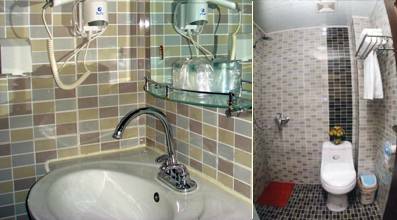 All rooms have AC, color television with international channel like: HBO, Star Moves, ESPN, Discovery, BBC, CNN etc. 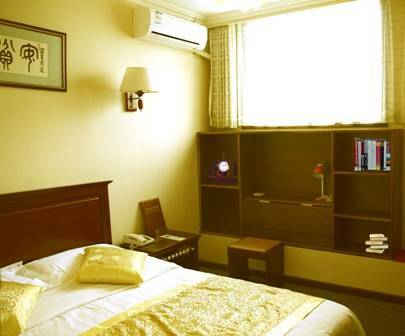 There are also alarm clock, tea/ coffee making facilities, electronic safe, bathrobes and slippers, broadband high speed internet connections, DVD, telephone lines with voicemail, hair dryer and room services, and so on. All of our guests can enjoy free internet and WIFI access in the lobby, relax in our lounge or have a drink with friends in our bar. A free continental breakfast, served in the dining room, is included in the price. This beautiful building gives our guests the chance not just to see Beijings history but also to sleep in it! The restoration has added all modern facilities without spoiling the buildings character and guests can be assured by our conscientious staff, security card system and commitment to the highest standards. 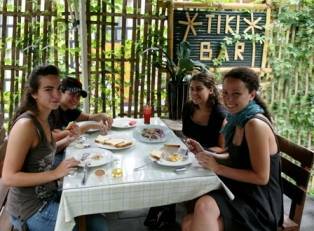 Our mission is to provide comfortable, secure, clean and spacious accommodation to the budget traveler. Dont just see Beijings history; live in it for a while! The Zaoyuan Courtyard is the most elegant environment in which to meet friends or colleagues, relax after a hectic day, or a formal dinner with every need professionally and expertly fulfilled. Trips to the Great wall (Mutianyu, Badaling, Simatai and Jinshanling). Beijing city tour (Forbidden City, Tiananmen Square, Summer Palace and Temple of Heaven). We will try our best to improve our service to give you a home away from home feeling, and wish you enjoy your stay in our hotel! 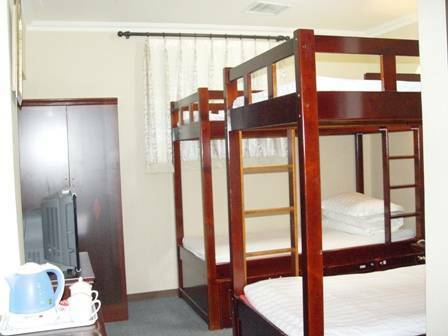 All rooms have AC, color television with international channels. There are also alarm clock, tea/ coffee making facilities, electronic safe, bathrobes and slippers, broadband high speed internet connections. Telephone lines with voicemail, hair dryer and room services, and so on. It is very popular not only in Chiese people, but also foreigns! pay for one night, if you have not arrive. 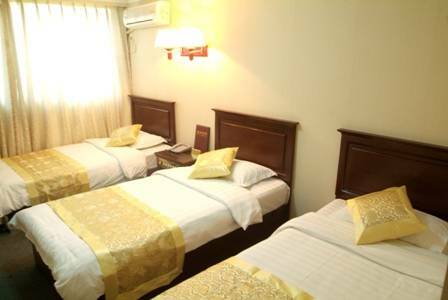 The Drum Tower Youth Hostel is situated on the central BeiJing, which close to all public amenities and is with walking distance of Bell Tower, Drum Tower, Di Tan Park. It will take about 10 minutes to Hou Hai bar street, Bei Hai Park, the Palace Museum, JingShan Park and Yong He Lama temple by bicycle. It will take 20 minutes to TianAnMen Square by subway. In other words, there is no problem taking transportation to anywhere u wants in Beijing. Please take "A" line of the airport shuttle bus to DongZhiMen station, and then change subway to the GuLouDaJie station, from exit "B" to south 300m walk , you will see the Zhangwang Hutong, then please go into it, you will see the hostel! staff will show best bus line to help our guests find anywhere easily.